Discover healthy food in London restaurants near you. Make hassle free decisions about food when eating out. Easy to choose based on real photos and preferences. All the food is curated so that you only get the healthy options. It works because it fits around your existing lifestyle, with or without being on a diet. Replaces calorie counting with better decision making. Nutritionally balanced dishes with photos, locations and descriptions. Sign up to keep on discovering healthy food. 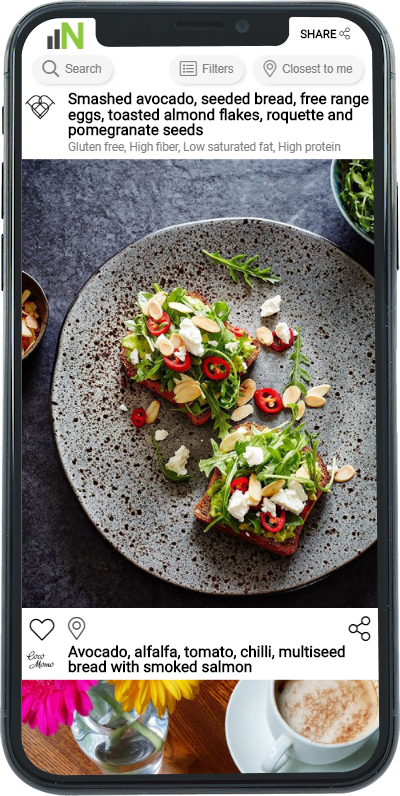 Get the NutriStandard app to save the time and willpower needed to plan and to put in practice your nutrition goals every time you go out.